This chapter describes the system requirements and the steps necessary to install and activate variaDoc. A properly installed browser and an Internet connection are required to access the download page and more help and information. An Internet connection is also required for automatic updates, and is preferred for activating variaDoc. variaDoc can also be activated by contacting support at support@variadoc.com. variaDoc is supported on both 32 and 64-bit operating systems. To install VariaDoc, first download the VariaDoc setup program from the product download section of http://www.variadoc.com. variaDoc runs on the Microsoft.NET 4.0 framework. If you use variaDoc as a web service, you must have the Microsoft.NET 4.0 framework installed on your web server(s). The Microsoft.NET 4.0 framework is included with the variaDoc installation and will be installed automatically. If you need help in upgrading your web server, please contact us at support@variadoc.com. Run the variaDoc setup program and follow the prompts to install the variaDoc software. You can evaluate variaDoc for an unlimited time. During evaluation, a banner will be placed across the output documents. This banner will disappear when you buy and activate the software. To purchase VariaDoc, go to https://www.variadoc.com/Buy. Follow the instructions to log in and purchase the variaDoc application. For each purchased copy of variaDoc you will receive a serial number. This number is necessary to activate your copy of variaDoc. 4. Enter the serial number in the Serial number field. 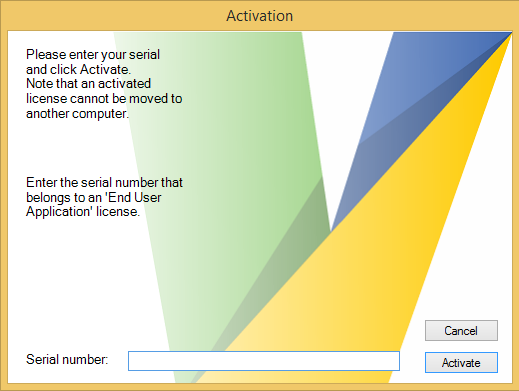 If the serial number is valid, your copy of variaDoc is now activated.